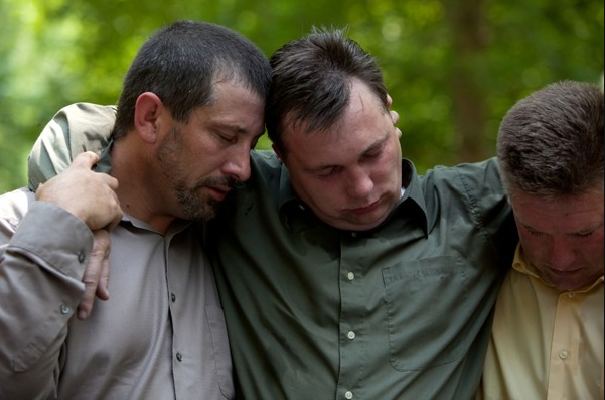 Donald Dover, left, of North Carolina and Jamie Lloyd of Sidney, Ohio, right, support Pastor Randy “Mack” Wolford after taking him to an outhouse at the Panther Wildlife Management Area. Wolford, a practitioner and defender of the faith tradition of serpent-handling, was bitten by a rattlesnake during the Sunday worship service. He later died from the effects of the bite.